Hotel collectibles have always been very popular because people travel frequently and enjoy carrying away souvenirs from where they stay. 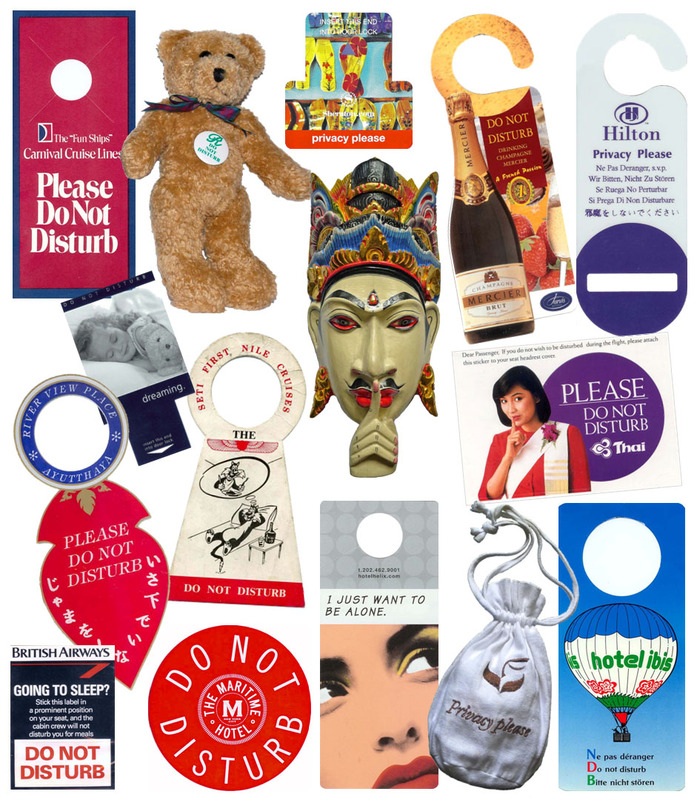 Unlike other items commonly taken by travellers, "Do Not Disturb" signs often go unnoticed even though some are very attractive and original in design. 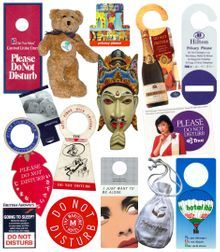 "Do Not Disturb" (or DND) signs are found in hotels and other places of lodging as a means for guests to request privacy. Not much is known about their origin. As with many practical items in everyday use, I suspect that an anonymous hotelier conceived these quite by chance and the novelty soon spread by imitation. Judging by some of the vintage signs that survive to this day, we can assume that the first widespread use was likely in the early twentieth century, mainly in the United States and Europe, particularly by the more prestigious hotels where discretion was the better part of value. Nowadays they are commonly seen on doorknobs in almost every hotel around the world. DND signs come in a variety of designs, shapes and materials. The most common are made of paper or card. Others are made of plastic, wood, fabric, leather, brass and other materials. Some hang on doorknobs, others are inserted in electronic key locks. In recent years, some hotels have become more creative and use eye-catching signs to distinguish themselves, express their personalities and appeal to image-conscious guests. Sadly, other hotels have started replacing these signs with a warning light outside the door. This is disturbing news for collectors.